DIANA CORKRUM: CUPCAKES- THE FIRST EVER MASS PRODUCED? CUPCAKES- THE FIRST EVER MASS PRODUCED? What was the first mass produced cupcake?? TASTYKAKE !!!!!! Takes the cake. According to TastyKake's President, Nelson G. Harris, Tastykake introduced their cupcake before Hostess did- in 1915. Now- onto something MUCH more important. Where can you BUY Tastykake?? 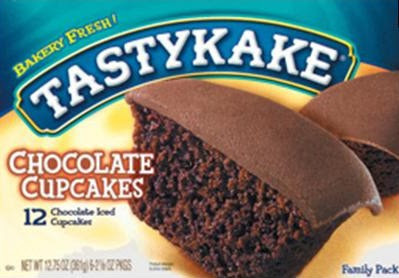 Check out www.tastykake.com to find the nearest dealer near YOU!! Tastykake makes several other confections. I'd love to hear your favorite.